Today I am 36 weeks and 2 days pregnant. Baby is: the size of a large canteloupe, about 6lbs and 19-22 inches long. I am: hoping that the increase in intensity and frequency of the Braxton Hicks contractions doesn’t mean baby is going to come too soon. A bit early would be okay, but not this early please baby, I am so not organised. But at least I have made a start. Yesterday I bought some of the things I need for my hospital bag. Still quite a way to go, and not sure when I can next get out shopping, but I feel better for having bought nappies at least, and a few other bits and pieces. I can see how it’s going to go – fifth babies do not get the same treatment as first babies, but I need to do a bit better. So far I have two vests and three sleepsuits from the charity shop (thanks mum) but nothing else in the newborn size. I’m all for a bit of minimalism but I seem to remember that babies go through more clothes than that in a day! 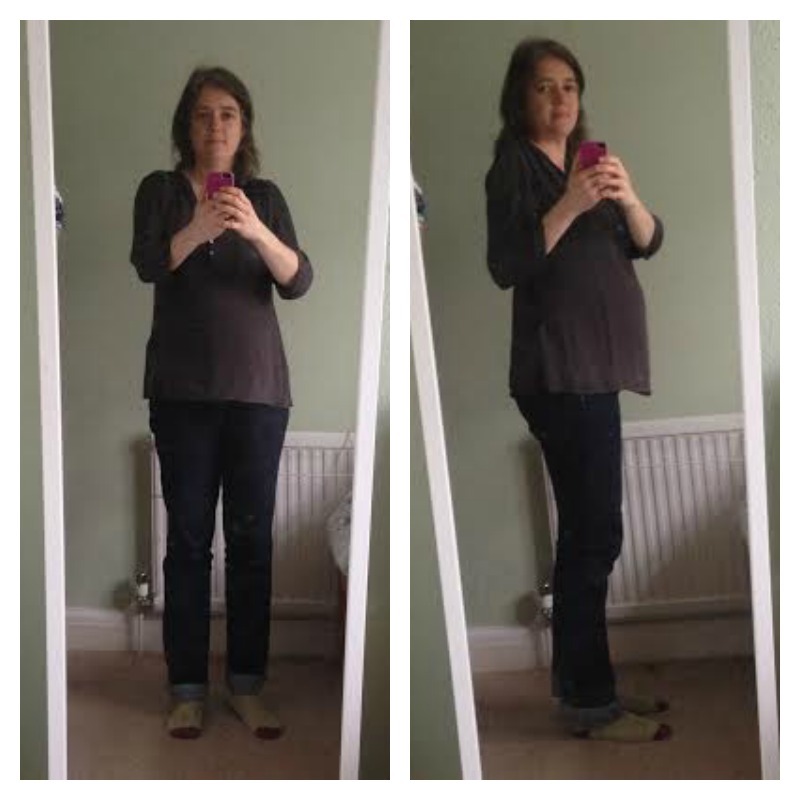 This entry was posted in Pregnancy and tagged pregnancy diary on December 7, 2014 by Hannah. Today I am 12 weeks and 2 days pregnant and feeling sorry not to have seen you in such a very long time. Such a lot of news to share. Wishing you much love for birthing baby number 5 (but not til it’s ready) as brilliantly as 3 and 4 and hoping that maybe we can catch up soon?